It has been a while since I have written, it’s been a while since I have updated the gallery part of my website.. It’s been a while for a lot of things! Not for lack of inspiration or working making – just that work making takes up so much of my time I’ve let everything else go a bit. It’s impossible to make time for it all and I will always prioritize the actual art making over everything else. Last year was a bit of a funny one. I think I let too many things matter – this art gig is a lonesome one and I must admit I felt excluded from things ( in this town ) and the slew of rejections ( residencies and prizes and the like ) over the last two years all caught up – just too much for the ole ego. I took it all a bit personally. It’s not so much the glory and the fame I am after ( har har ) I just want to work and be part of working and feel like I am going somewhere. Anyway, upon some reflection I thought this is a pretty bad business model, so I am stepping off that bandwagon and just readjusting to producing work, researching and exploring painting and drawing. Doing new ( not so new ) things. Far out it feels good. I also let my Major Depression rule my life too much. When there is so much going on ( regular life ) I forgot that how I feel isn’t how I have to feel. How much effort it can take to just function, that avoiding social things to the point that I am literally hiding from people may not be the way I have to be. Anxiety hit a point where I had the shakes and just didn’t really want to be alive. But I really want to be alive, you know, because life is pretty great and I love love love my little family, animals, my garden, my friends, art! So I got on top of that in the last bit of 2018 and I am already feeling some pretty positive effects. There was a lot of guilt around all of this too and guilt can get in the bin, quite honestly. 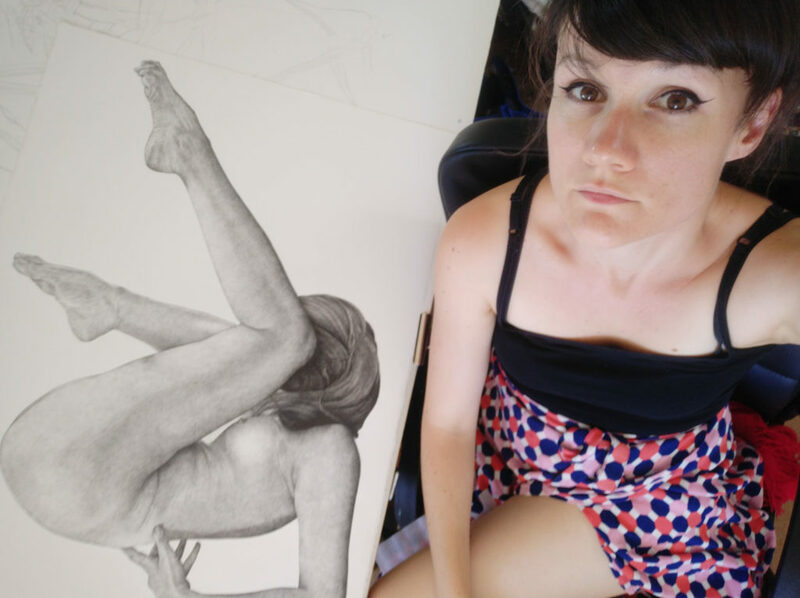 So here we are, summer holidays and I made two big drawings in two weeks! Just goes to show what I can do when I put emotions aside and do things. Here’s to a productive 2019.